Quick response 'saved lives' Jump to media player Four people who died after a helicopter crash off Shetland have been named by Police Scotland. Coastal Safety Manager Susan Todd said the quick response of rescue teams helped the save lives of other passengers. 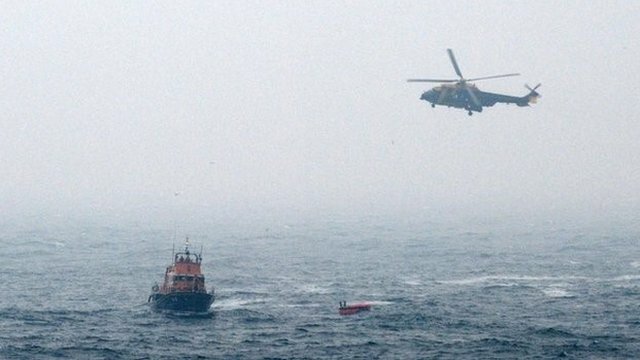 Survivor's father: 'Helicopter turned over' Jump to media player Three people are missing after a helicopter ditched in the North Sea. It was taking people to and from oil and gas platforms. 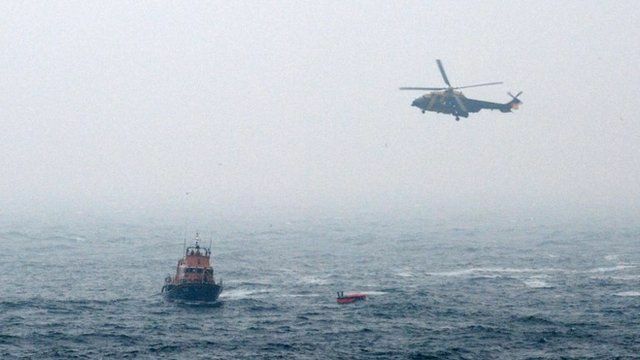 Four people who died after a helicopter crash off Shetland have been named. They were Duncan Munro, 46, from Bishop Auckland, Sarah Darnley, 45, from Elgin, Gary McCrossan, 59, from Inverness, and George Allison, 57, from Winchester. Scotland Police confirmed 14 others were rescued. Coastal Safety Manager Susan Todd said the quick response of rescue teams helped the save lives.